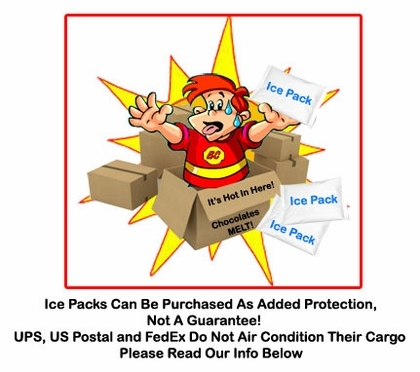 We cannot guarantee your candy items from melting even when choosing to add ice packs or expedited shipping. 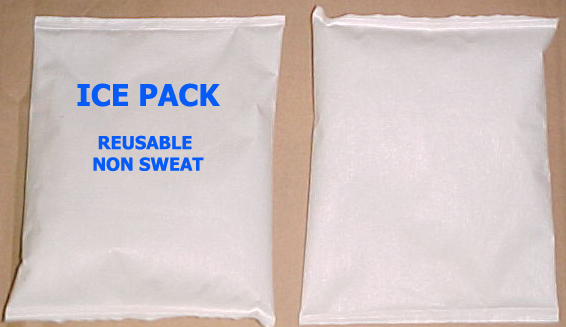 Ice packs only last 36 hours or less depending on the weather. 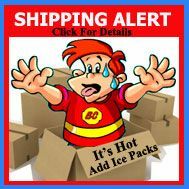 We suggest 1 ice pack per small item ordered, 2 for larger items. UPS, US Postal and Fedex delivery trucks are not air conditioned! Ordering any candy shipped in warm temps is the buyer’s responsibility. 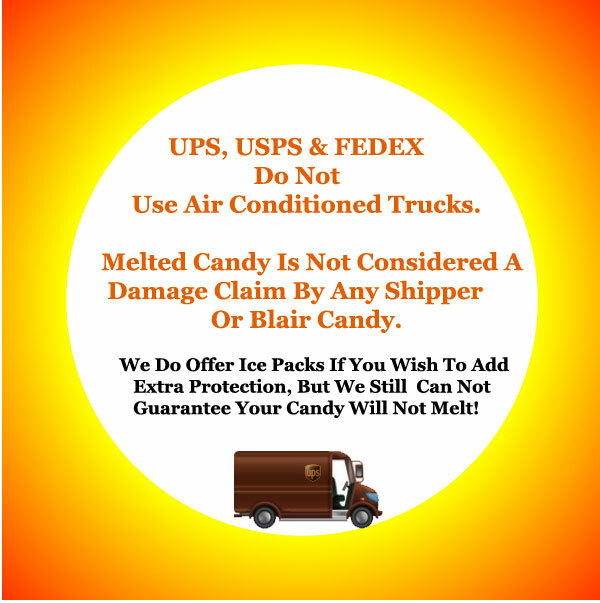 Blair Candy or any Shipper does not accept claims for melted candy. In the summer months (June, July, August), we do not ship chocolates out on Thursdays or Fridays, unless you contact us to do so. Those orders shipping to the West Coast will ship on those days due to the time in transit. Buyer is fully responsible for ordering candy that melts in warm weather with or without ice packs. We ship from PA. We suggest having your candy delivered in warm weather to an address where someone is there to accept your package on delivery. Did what they were suppose to do! Candy made it in terrible hot weather! We ordered a large quantity of the S'more candy bars to tie in with a promotion for our apartment residents. The candy was delicious, and we were complimented on both the quality and our clever promotion. They are perfect for this purpose because they are individually wrapped and somewhat solid, so they held up well during shipment. We ordered them on a Wednesday and they arrived the next Monday. Can't beat that! We'll definitely be ordering again.